A few weeks ago, I sent an email to our staff about a fantastic fall kickoff of one of our small group settings for moms. This particular small group environment happens around tables at our church on Fridays in one of our main spaces, which puts a pinch on our teams getting ready for Sunday. In addition, almost 100 little kids attend the childcare portion of the event, which infringes a bit on our children’s ministry space and routine. The purpose of the email was to thank my fellow staff members for their flexibility, and to let them know it was worth it: many, many unchurched moms attended and were connected into loving, Christ-centered community. I shared some of the “wins” of the kickoff, plus the story of an unchurched mom who was really impacted by the connections she made. 1) Tell them what their job is (and how they know they’re doing it right). There’s not much more frustrating for a volunteer than not knowing what they are expected to do. When volunteers aren’t quite sure why they show up each week they’ll quickly get frustrated. And when they have no idea how they know whether they’re doing a good job, they’ll get even more frustrated. Even if you think a volunteer’s role should be clear, give them a quick two-sentence job description that let’s them know what they’re supposed to do and they “why” behind their role. Ask others to speak/teach once a month. Whether you put together a teaching team like we’re doing or you simply make sure someone besides you is “up front” once a month, handing over the teaching time to others will give them the opportunity to grow in the area of speaking. Have a volunteer lead a game. You might be the youth pastor, but you don’t have the corner on games. Ask a volunteer to lead a game or activity at your next event or youth group. Take a leader to school. If you visit a high school campus or go to an athletic event at a school, take a leader with you. Ask God to provide great leaders. Being a small group leader is a shepherding role, and it requires God’s gifting and calling for someone to fill that role effectively. You cannot depend only on your connections and charm to find great leaders. As you build your team of small group leaders, understand that you’re not just looking for warm bodies to fill a space. Pray for each group that needs leaders, and ask God to send you people who will minister to teenagers, care for them, and continually point them toward Jesus. Personally ask people to be leaders. Since being a small group leader of teenagers is such a unique opportunity, you need to make the pitch to potential leaders personally–over the phone or in person over coffee. As a serial introvert, this does not come naturally to me. However, I’ve found that it’s been well worth my time to take the time necessary to explain what a small group leader does, and why I think that person would do a great job leading a group. Set up your leaders with solid curriculum for the whole year. In the past, I’ve hesitated to schedule the curriculum for our leaders, because I was worried I would box them in and stifle their creativity and leadership. However, I’ve found that leaders appreciate having their curriculum planned for them, because finding great curriculum can take a lot of time. In addition, I make it clear that leaders have the freedom to go in a different direction if they think it’s best for their group, which many of them do. Have a leader kick-off/training dinner. I’m a big fan of steering away from unnecessary meetings, but this is one that is needed every year. We provide good food and make it clear what leaders’ roles, responsibilities, and resources are. Even though our small group leaders lead in teams of two or three, it can sometimes feel to leaders like they are on their own if we don’t help them see they are part of a team. This dinner helps them see they are on a team, even if they don’t lead in the same groups. Plan a big “push” to get teenagers into groups. 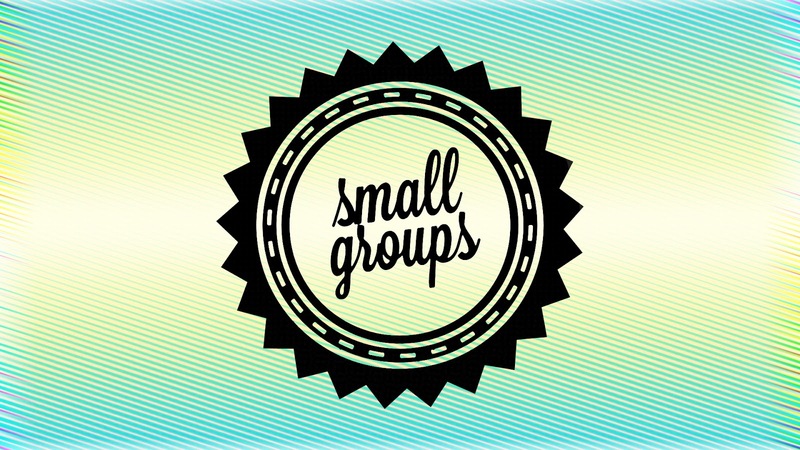 Not every teenager understands what a small group is or why they would really love being in one. Find a way to explain what small groups are that makes sense in your context, and make it easy for students to get into groups. There are many ways to do this, such as having a youth group where everyone spends the whole time in the group they would be a part of if they join a group, or having a group present what a “day in the life” of a small group is like.